The days of Lalith Athulathmudali and Gamini Dissanayake are history now. In fact, the prevailing political scene in Sri Lanka has left no room for gentleman politics. While politics was more often a money spinner with mud-slinging thrown in, it stooped to a new low when candidates, elected through people’s votes, began to crossover. 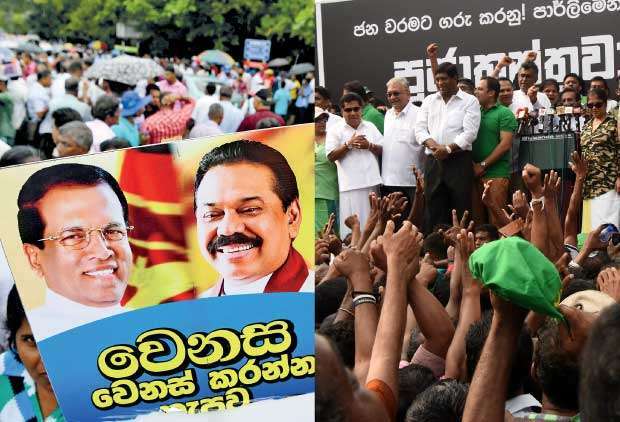 Initially a crossover meant that one would lose his seat in Parliament, but a judgement passed during the latter stages of the Sri Lankan melodramatic political scene, crossovers became a common phenomenon; common to the point that they are instigated with staggering inducements. The recent political crisis bears testimony to this scenario. While experts claim that a political crossover followed by an inducement is a punishable offence under the Bribery Act, the law definitely doesn’t seem to be in place. This also relates to a question about transparency and the entire concern about selling people’s votes. Hence the Daily Mirror sheds light on why political crossovers and accepting inducements are unethical and why such practices are an insult to the people’s sovereignty. 1965 : 13 SLFP MPs led by C.P De Silva left the Sirimavo Bandaranaike Government. Dr. W Dahanayake crossing over during Dudley Senanayake’s Government to form a seven-party coalition. 1994 – 2005 : G.L Pieris, Mahinda Wijesakara and S. B Dissanayake featured in a batch who crossed over. Early 2000 : When RW was PM several people crossed over including Dr. Sarath Amunugama, Wijepala Mendis and Stanley Kalpage. : Tissa Attanayake, after holding the post of the UNP General Secretary for eight years. A crossover previously meant that one could lose his or her seat in Parliament. However in 1999 a judgement attributed to former Chief Justice Sarath N. Silva allowed MPs to switch sides without losing their seat in Parliament. Hence the legitimisation of crossovers took place. The result was crossovers becoming a common phenomenon and adding hay to the fire are staggering inducements offered to the politicians which could be seen in today’s political landscape. A common debate in this scenario is why there needs to be an election if elected candidates could crossover for staggering inducements. 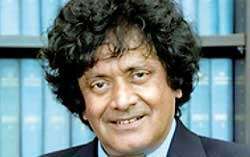 Speaking to the Daily Mirror, Terence Purasinghe, Senior lecturer and Head – Department of Political Science at University of Sri Jayawardenapura, said that defecting is an insult to the people’s sovereignty. “The person taking money should realise that he or she is in that party because of the people. Crossing over is unethical and in that sense there’s no point in having elections. They can form Governments among themselves. 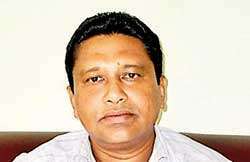 Therefore it is a blow to democracy,” said Purasinghe. He further said that politicians should abide by principles if such things are to stop. “All ministers have a responsibility and this is a problem regarding discipline. In the long -term, it has a negative impact on democracy.” he added. Speaking to the Daily Mirror, Professor Suri Ratnapala, Emeritus Professor of Law at the University of Queensland, Australia and former Senior State Counsel said that crossovers are undemocratic in a list system of proportional representation. “Electors vote for the party even though they have a preference right to rank members within the list. Inducements to crossover will almost certainly amount to a criminal offence under bribery and anti-corruption laws. Bribing a member of parliament to influence his or her conduct as parliamentarian is a very serious contempt of Parliament and a breach of parliamentary privilege. The person who offers the bribe and members who accept them are both guilty of contempt. Crossovers on illegal inducements are a scourge in emerging democracies. They defeat the will of the people and debase the polity,” said Prof.Ratnapala. “It is in contravention of the law,” said Asoka Obeysekere, Executive Director of Transparency International Sri Lanka. “Section 14 of the Bribery Act makes the Bribery of a Member of Parliament an offence punishable with up to seven years of rigorous imprisonment. It is also of concern that the President, despite his commitment to fighting corruption, has prorogued Parliament. In a democracy, at times of uncertainty, it is essential that public trust in democratic institutions is built by ensuring institutions such as Parliament is open to the public and are not closed off to facilitate back room deals,” said Obeysekere. When asked how it affects the political culture in a country, Obeysekere said that there is deep mistrust in elected public officials at present and it is important that the necessary investigations are done and action is taken against those having attempted to bribe parliamentarians and those allegedly accepting such bribes. “In this regard Transparency International Sri Lanka has filed a complaint with the Commission to Investigate Allegations of Bribery or Corruption (CIABOC) on November 5 along with a CD of selected voice recordings highlighting alleged offers of Rs.500 million for MP crossovers. CIABOC must now take the appropriate action and be mindful of the need to build public trust in its fight against corruption. It must therefore investigate thoroughly and also importantly conduct investigations in a timely manner,” he added. “In the long-term there will be an ever growing trust deficit in elected officials and these actions further cement a troubling decline in standards of elected officials,” he added. What’s most concerning is that this would dissuade talented young people from engaging in serving the people. Their involvement in serving the people is what the country will need to rely on to ensure future prosperity. A further step in the right direction is to ensure that there are publicly available asset disclosures of parliamentarians. Whilst this will not curb corruption on its own, this will ensure that there is sufficient public oversight to make those in elected offices be more accountable to their voters,” he said.